Over the weekend it was Cliffhanger in Sheffield, an ‘outdoor event’. I took the opportunity to head over to the Peak district, hoping that it would be nice and quiet on the crags. It was – we had them to ourselves, a rare occurrence at Curbar on a Saturday I think! Anyway, still in finger re-hab I got stuck in to some cracks; Curbar on Saturday and Chatsworth on Sunday. I even got an Extreme Rock tick with Right Eliminate – get in. Checking the book yesterday I am now well over 70 Extreme Rock ticks, and can get quite a few more pretty easily. Then it is up to Scotland to brave the big crags if I want to finish the book. And of course there is always The Indian Face too – urgh! That might be the sticking point! 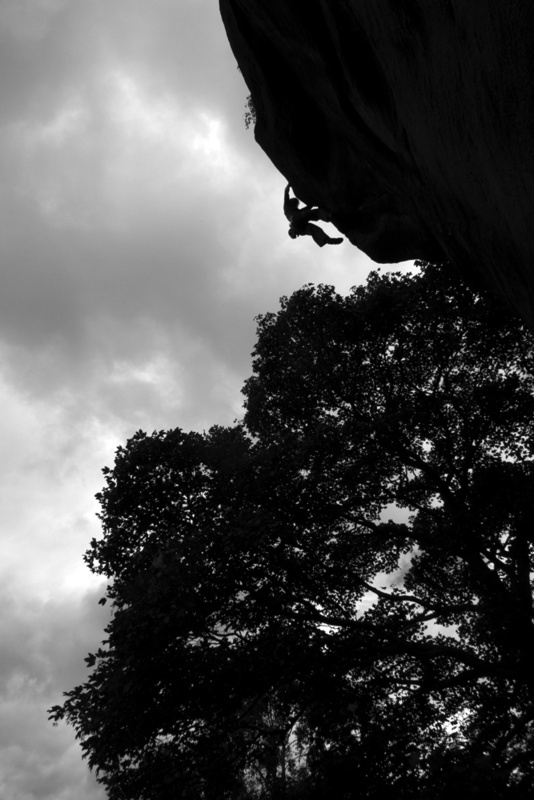 Below is a photo of Esta Bott seconding Emerald Crack at Chatsworth.